A food waste disposer can make cleaning up after a big meal or get-together a lot easier. Sometimes referred to as a “garbage disposal,” these under-the-sink appliances give you an environmentally friendly option for disposing of food waste, one that keeps your scraps out of landfills. The benefits food waste disposers can have on reducing … Continue reading "Down the drain: Reduce trash with a food waste disposer"
While nobody ever wants to waste food, it’s inevitable that you’ll sometimes have a few scraps left over. So, what’s wrong with tossing them in the trash? Think about what happens when you throw away trash. It could sit in a bag on your property and act as a tasty treat for critters. After that, … Continue reading "Food waste disposers: A better choice for your scraps"
We’ve already looked at how you can dispose of food scraps without sending them to a landfill. But what about the food that goes bad, or those leftovers you simply didn’t get around to eating? Putting them through your food waste disposer might be an option, but wouldn’t you rather they hadn’t gone bad in … Continue reading "Stop throwing away food"
Are you going to eat that? We hope so. If not, you could be throwing away more than a few extra bites. A 2015 survey by the American Chemistry Council put the cost of wasted food at $640 per year, per household. Regardless of whether the food is scraps, leftovers, uneaten portions or spoiled food, … Continue reading "Food waste disposers cut trash in neighborhoods and landfills"
Many home appliances are under-appreciated by their owners. Food waste disposers are near the top of the “out of sight, out of mind?? list of appliances. But their usefulness goes beyond convenience, and they’re helping the environment every day. Let’s take a deeper dive into the work these appliances do for the environment. Food waste … Continue reading "Food Waste Disposers – The Unsung Hero of Appliances"
Does your kitchen sink come equipped with a foodwaste disposer? If so, each time you throw food scraps into it, you could behelping to produce clean energy. When food scraps enter the sewage system, many local water treatment plants use them to produce biogas – a combination of methane and carbon dioxide – that results … Continue reading "Help Power Your City with Your Food Waste Disposer"
When was the last time you cleaned out the filter in your dishwasher? Do you keep it full of a rinse aid? 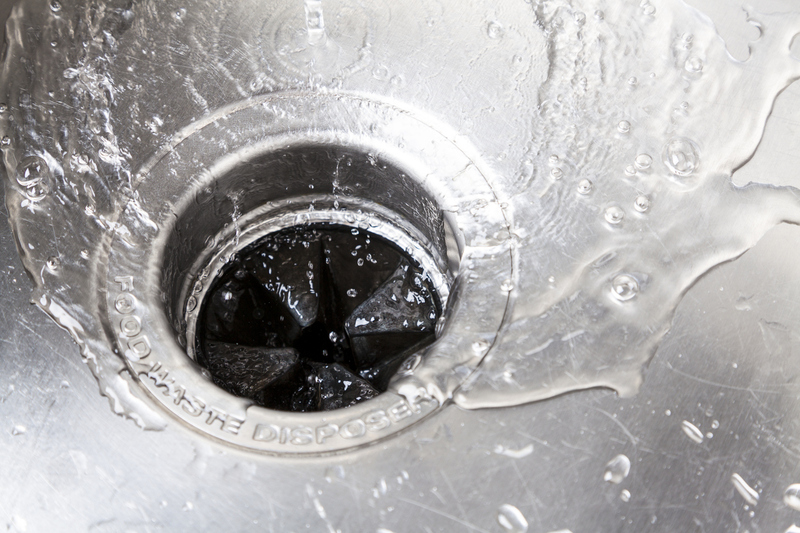 Is there a bad odor coming from your kitchen sink? If you answered yes to any of these questions, you might not have been properly maintaining your appliances. Although today’s appliances are much … Continue reading "Follow These Tips to Keep Your Dishwasher and Food Waste Disposal Working"